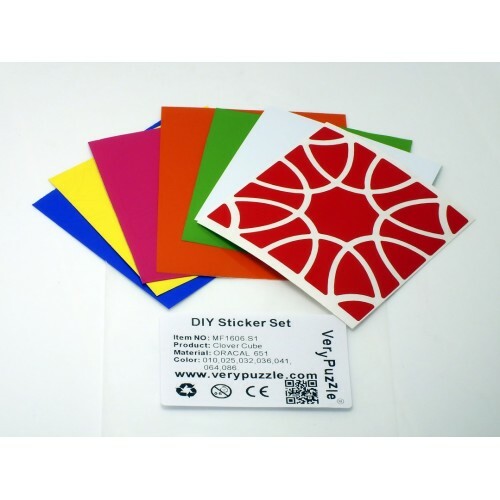 This link is about all available independent DIY sticker set for VeryPuzzle products. Material of products listed in this link are all Respect (R) PVC sticker. Please select carefully from the list. Every checkbox gives 1 set of corresponding sticker set. For example, if you check the box of 'Clover Cube', then you will receive 1 sticker set for Clover Cube and its material is Respect (R) PVC sticker. Multiple models can be choosen. If you want to buy multiple sets for a single product, please use add to cart feature. NOTE: independent order of sticker set or orders containing only sticker set will be sent by plain mail without tracking number. A photo of the mail will be sent to your registery email at verypuzzle.com.